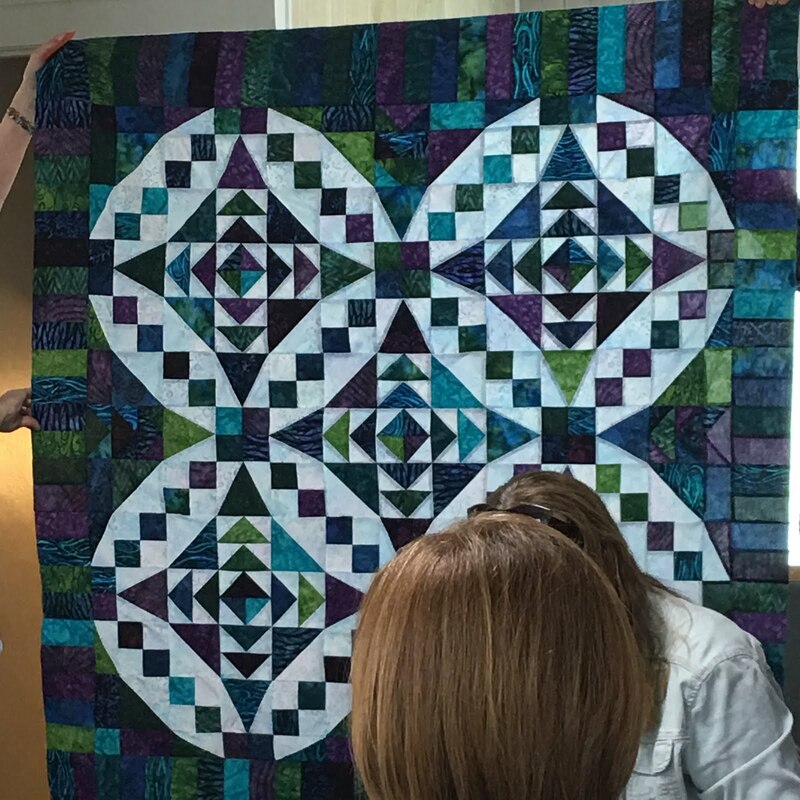 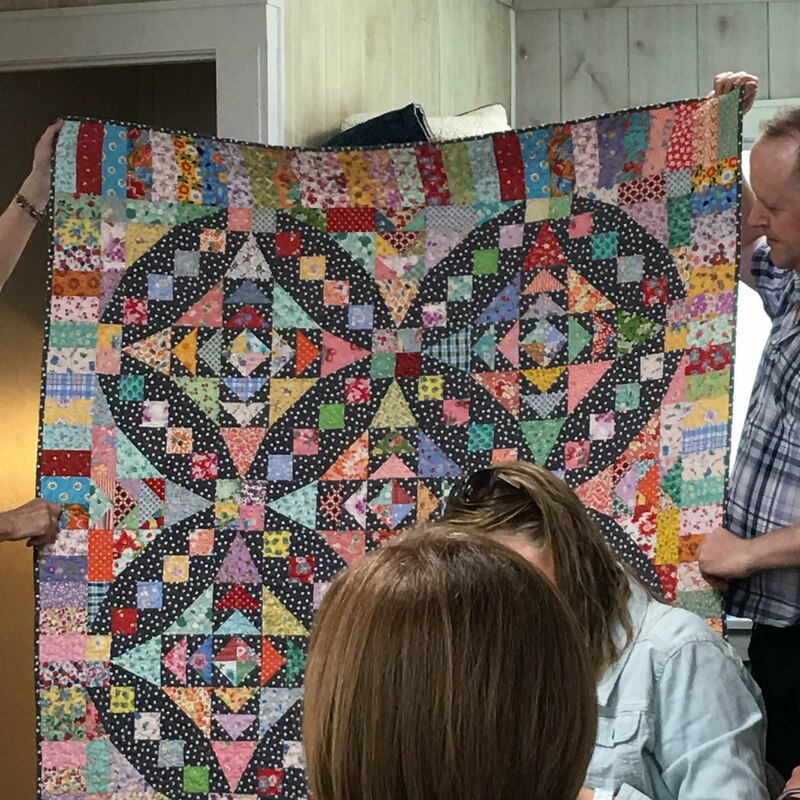 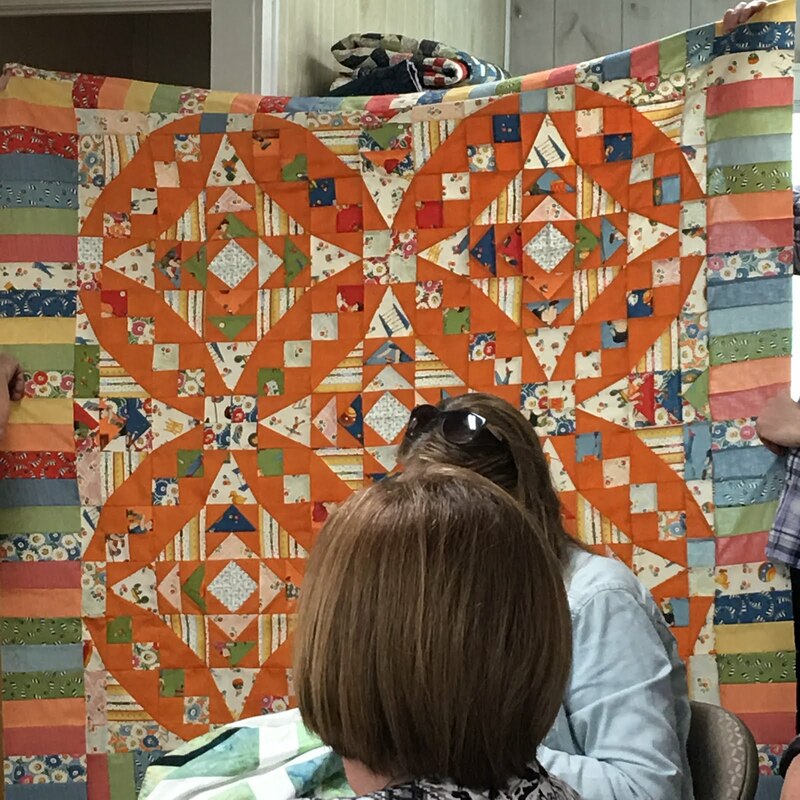 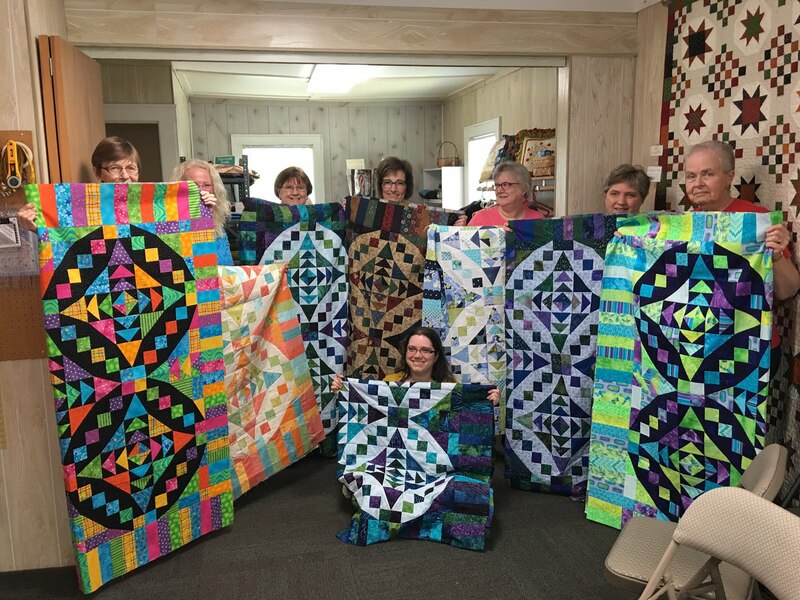 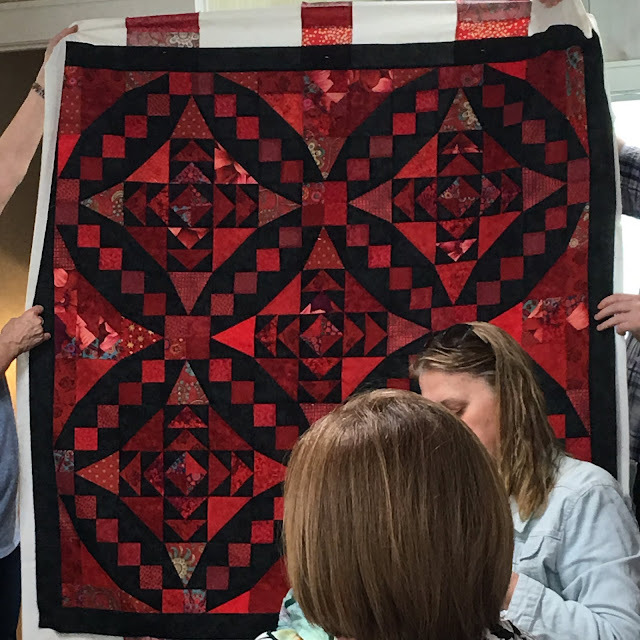 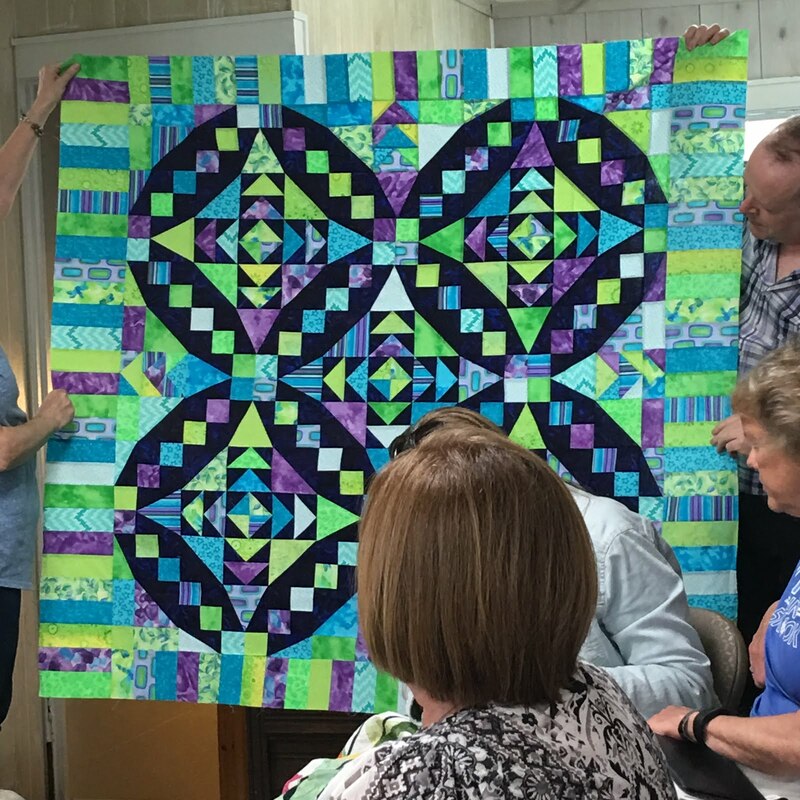 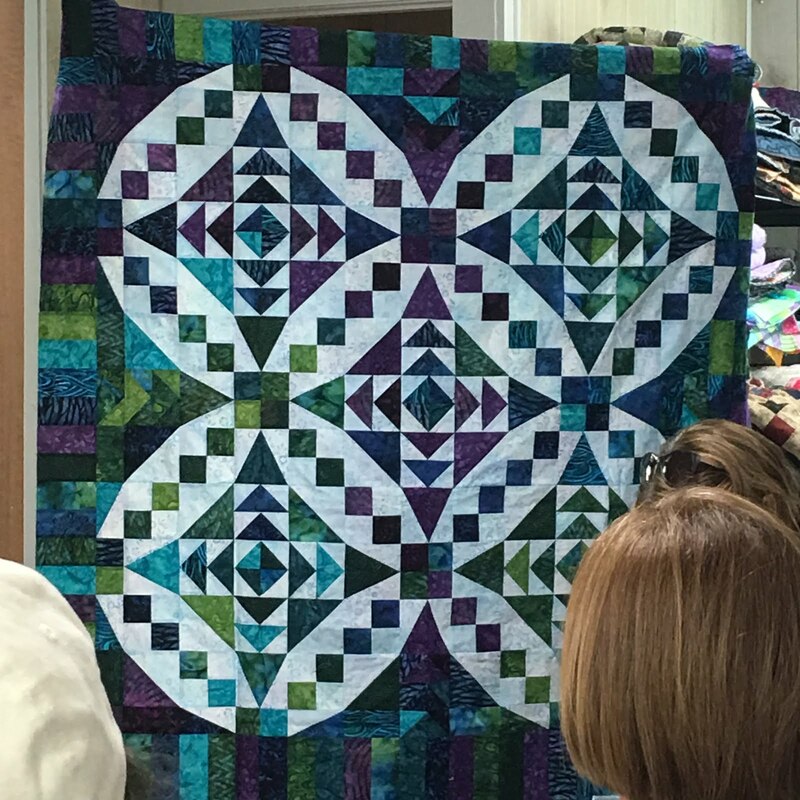 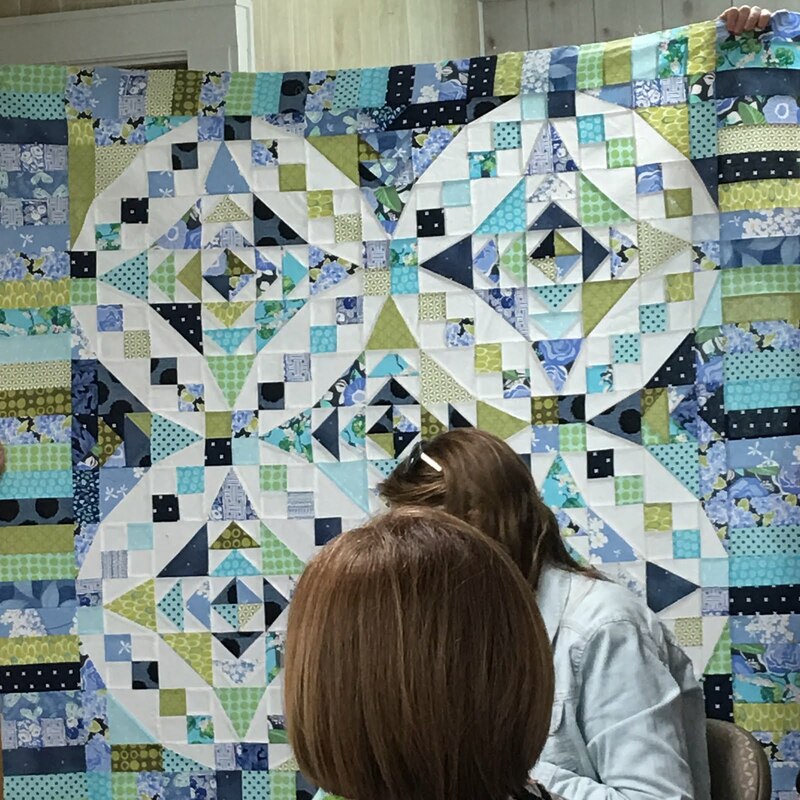 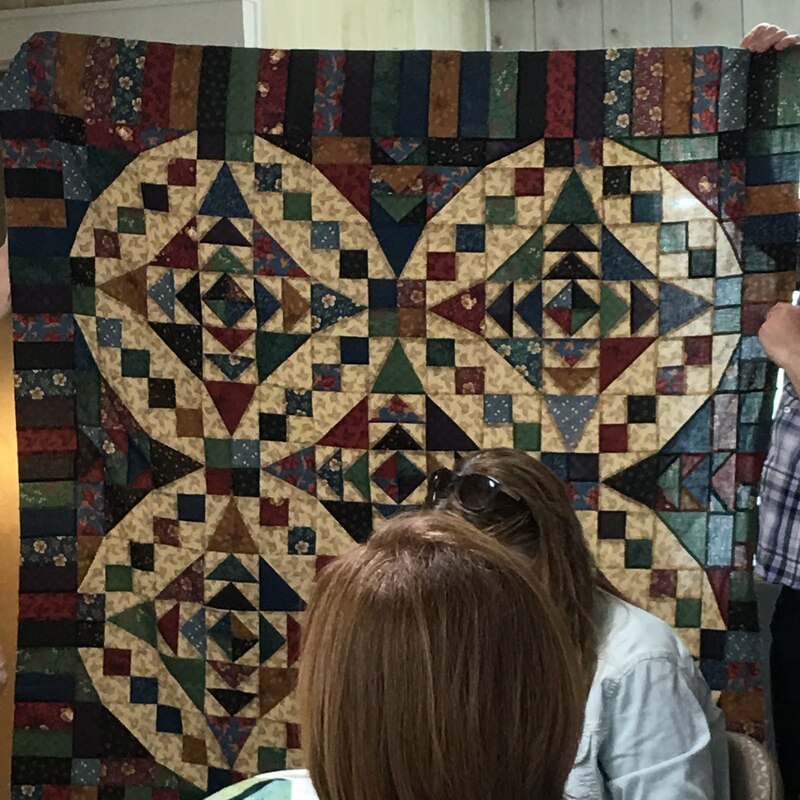 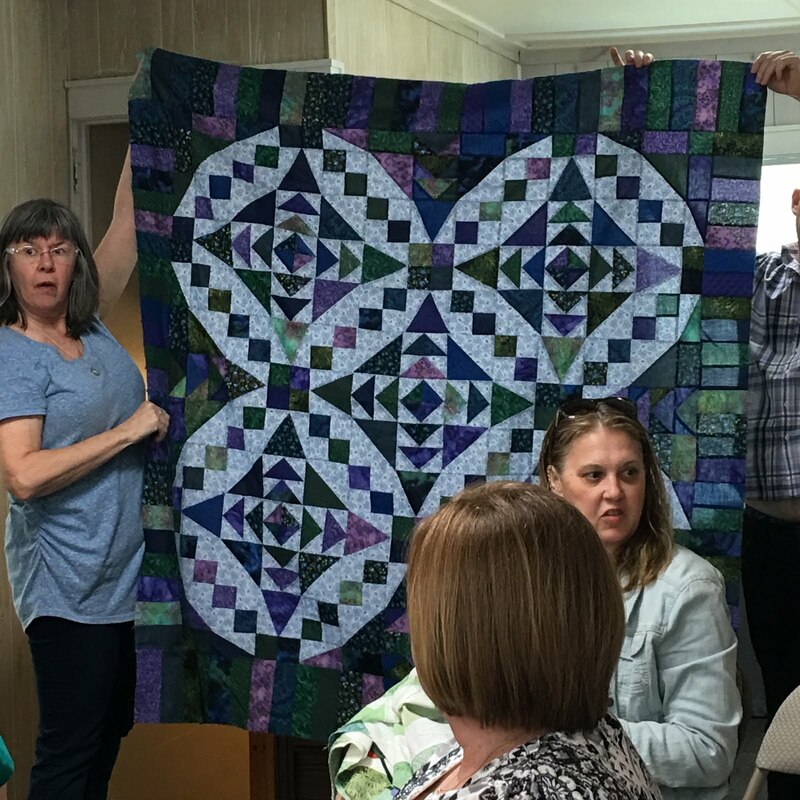 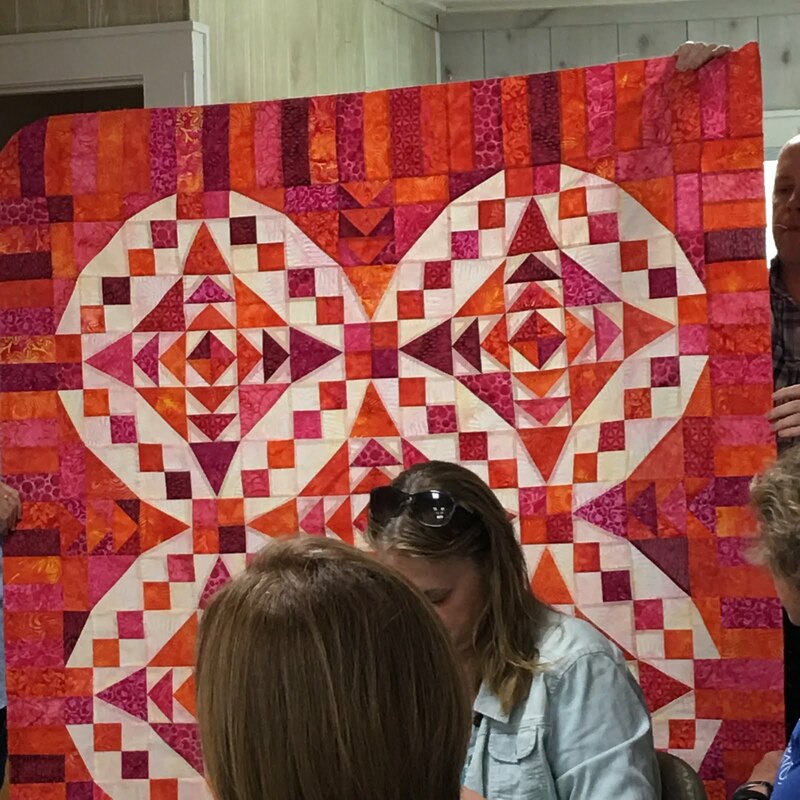 We had a gathering today of quilters who made the Little Jewels mystery quilt. 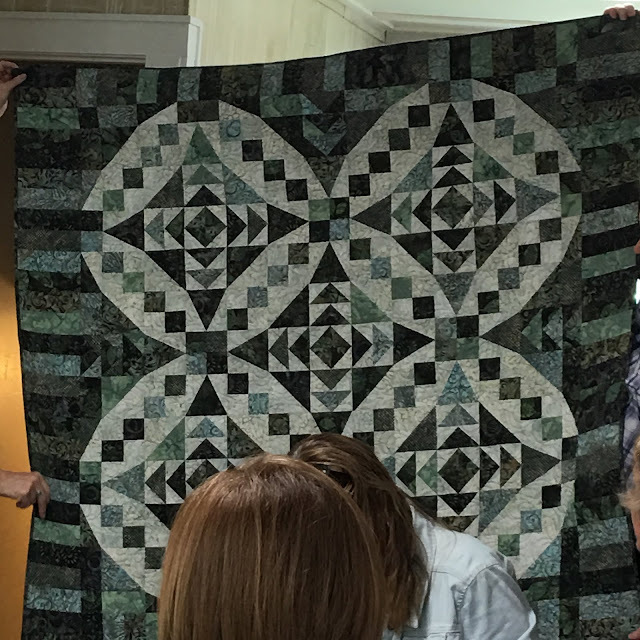 There were 15 of us that completed the top, plus the leaders quilt. 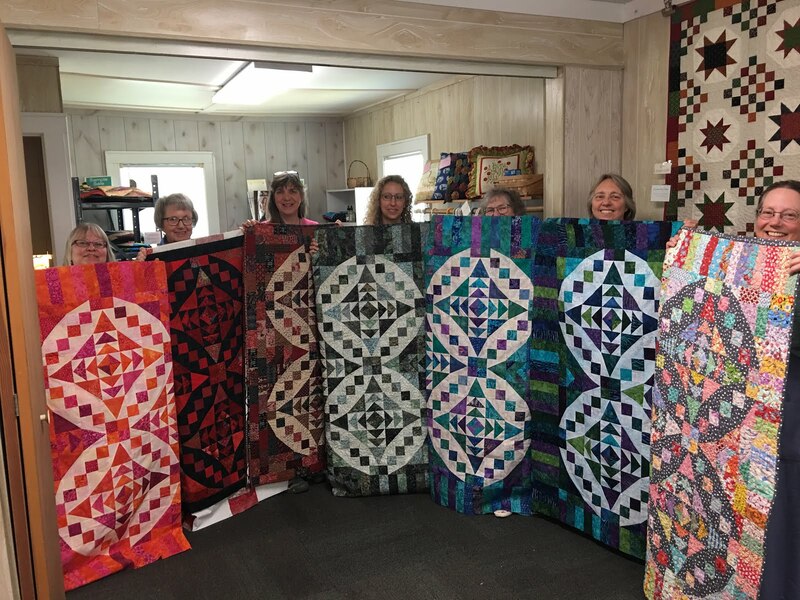 I'm 3rd from the left. And my quilt, made out of traditional Japanese fabrics from Japan. 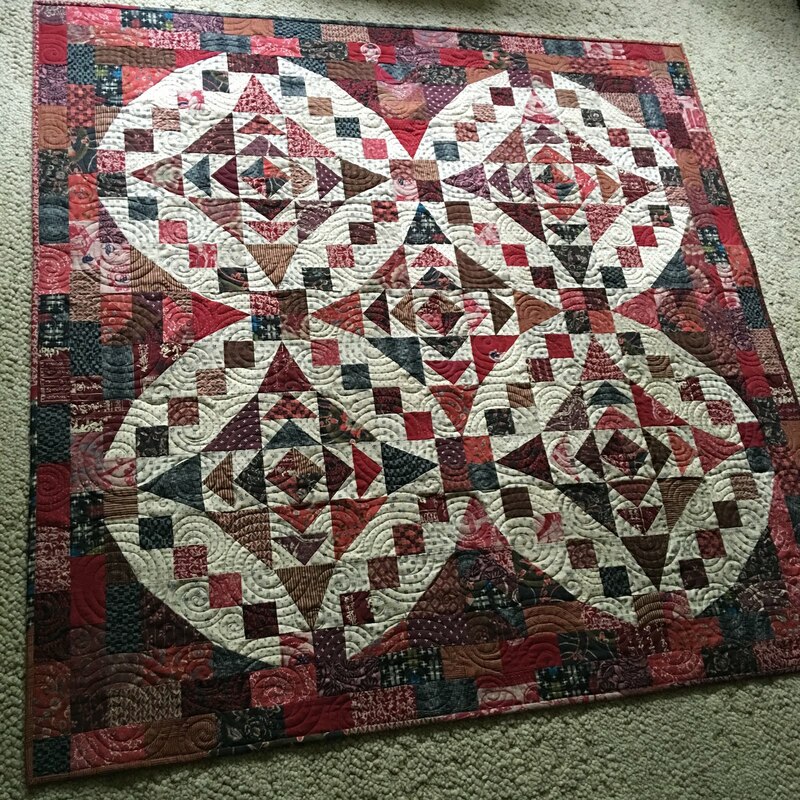 I changed the borders on mine, to circle around the edges. 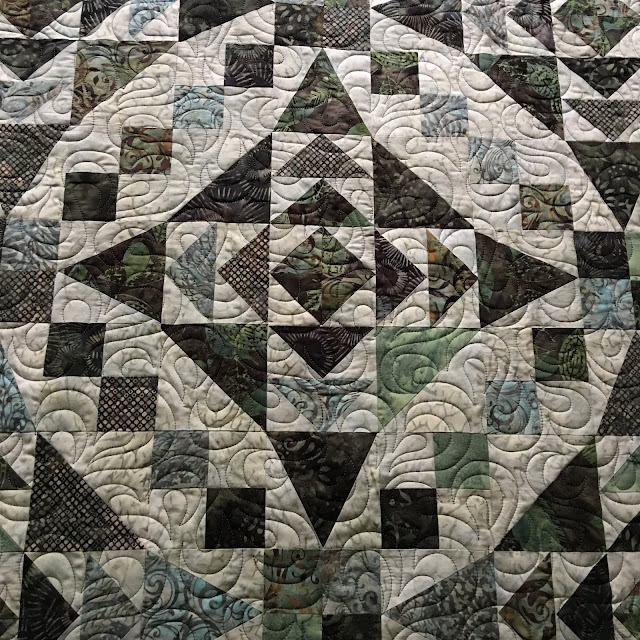 I quilted it with spirals, an edge-to-edge design called "Pincurls". 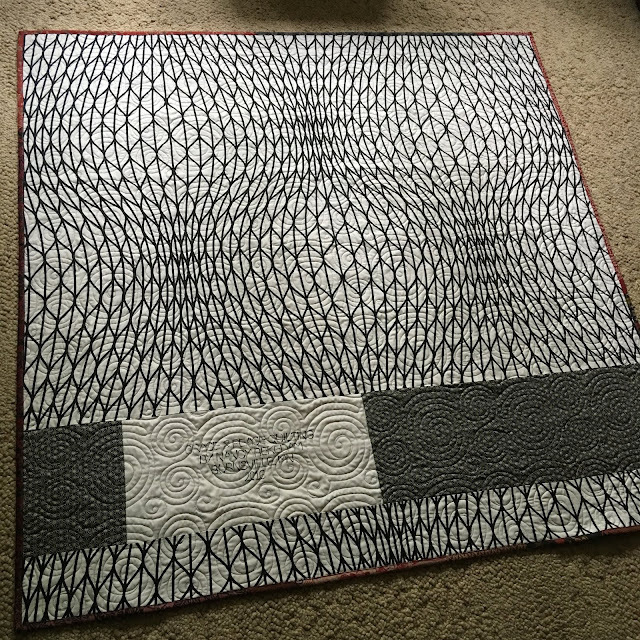 Another backing from IKEA--60" wide! 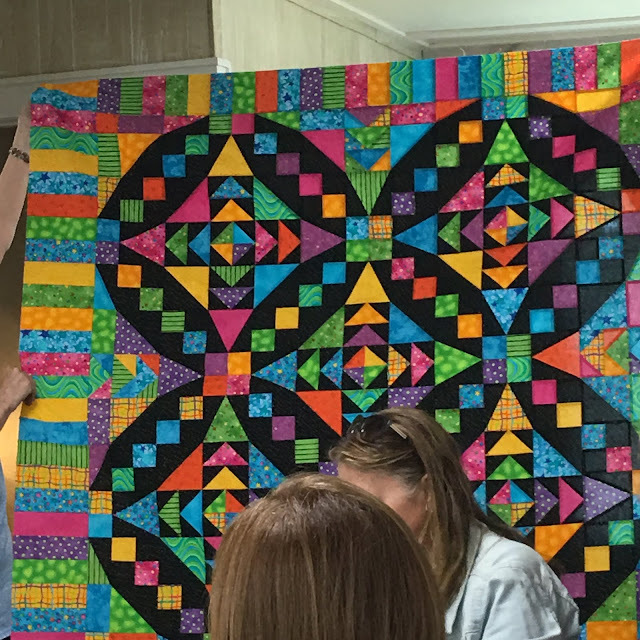 These are amazing. 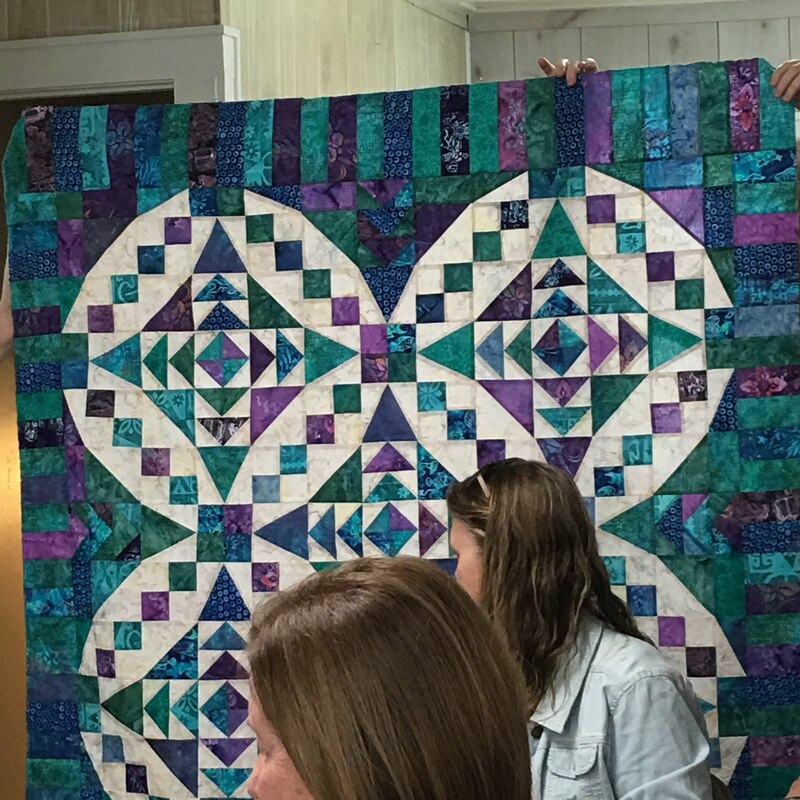 Really like how you changed up the border on yours. Amazing what one little change like that can do for the overall design. 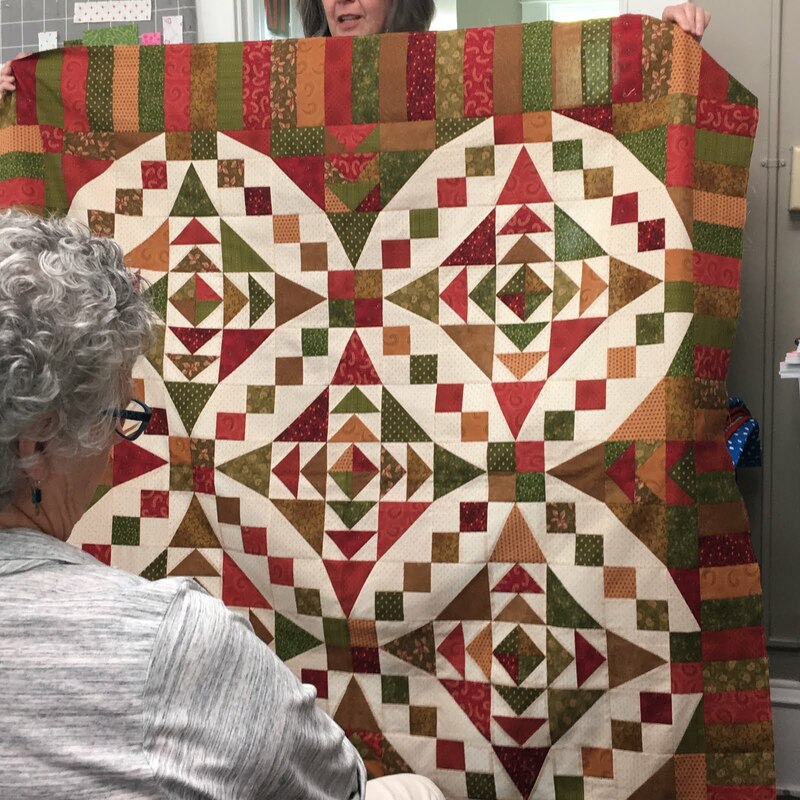 Thank you, Kathy!!! 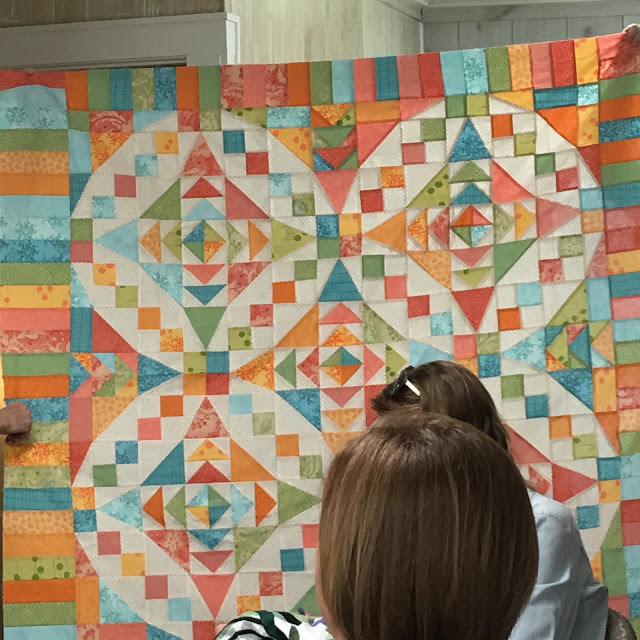 It was so cool to see the different color combos and fabric choices.